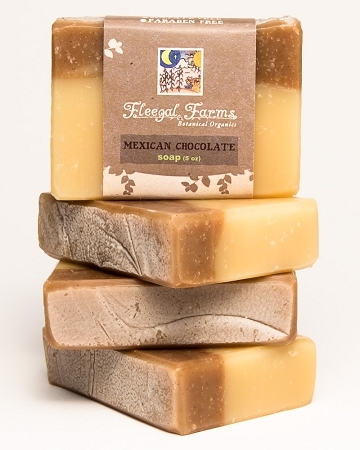 This aromatic soap is loaded with cocoa butter which lends it's chocolaty scent as well as it's moisturizing properties. 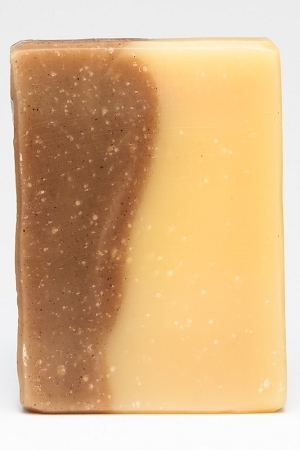 Cinnamon, clove and sweet orange sing when this bar is exposed to warm water while you bathe. A seasonal bar that is a true treat to your senses. INGREDIENTS: filtered rain water, saponified oils of coconut (cocos nucifera), olive (olea europaea), cocoa (theobroma cacao) Seed Butter, essential oils, cocoa (theobroma cacao) powder, and cinnamon (cinnamomum cassia) bark.